…PLUS a selection of new bulletin board designs for the new year. changing up door and wall decor draws students’ attention and helps educators to, in essence, “merchandise” education. Why do we need to “merchandise” classroom learning? Because all of us, young and older alike, live in a world of distractions where change and its escalation have become the norm. Think about retail stores where you shop. Ever noticed how frequently they move merchandise to new shelves and change visual displays? Retailers want to keep shoppers looking, similarly to how teachers aim to keep kids’ attention when young minds begin to wander off, for any number of reasons. Mindful of time limits that teachers constantly face, I’m presenting the following pics and tricks with just quick tips for implementation. Hope you enjoy the selection, all of you…readers now in 112 nations! Transitioning into math, reading, etc. with a quick physical activity like pretending to “dive into learning about __________” (fill in your lesson plan title), pumps oxygen to kids’ brains, offering a refreshing break between classroom activities. KEEP SWIMMING TOWARD YOUR GOALS! “Diving into learning” is a good start, but this teacher is taking the analogy a step further. She and her students are simulating swimming, in my blog pic here, to reach their goals. Try this with your students and ask them what it takes to be a good swimmer – practice, patience, strength, endurance and more – also key ingredients in developing the awesome ability to pay attention! GO FOR THE GOLD! As 2013 gets underway, invite your class to “dive into learning” in the new year with a bulletin board like the one in my blog pic below that features a treasure full of gold. Help kids master the concept that education IS its own treasure, not something to be taken for granted. Make (or invite students to make) gold coins and write subject areas that are appropriate for your class – math, reading, writing, science, etc. – in dark letters on the yellow surfaces. 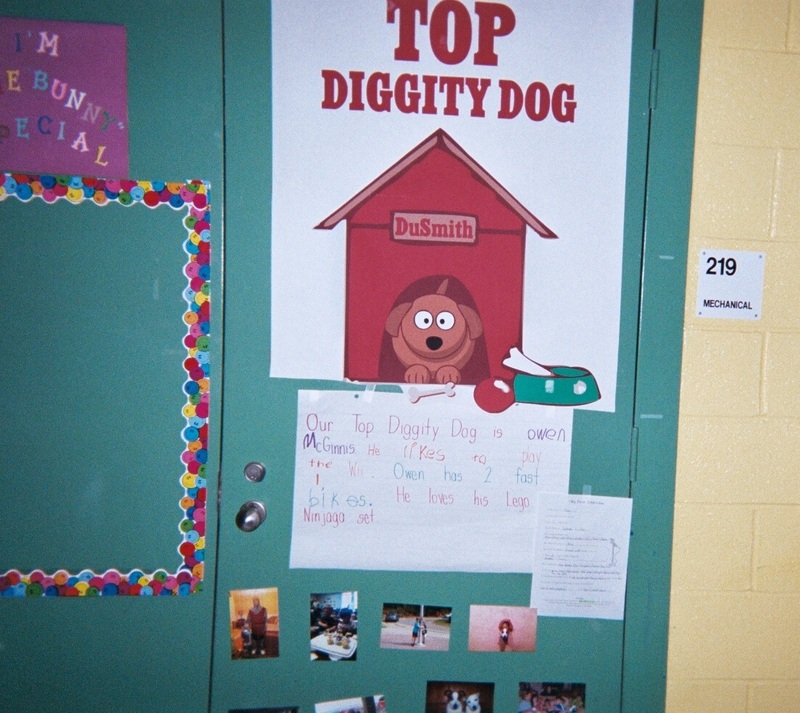 WHO’LL BE THIS MONTH’S TOP DIGGITY DOG? 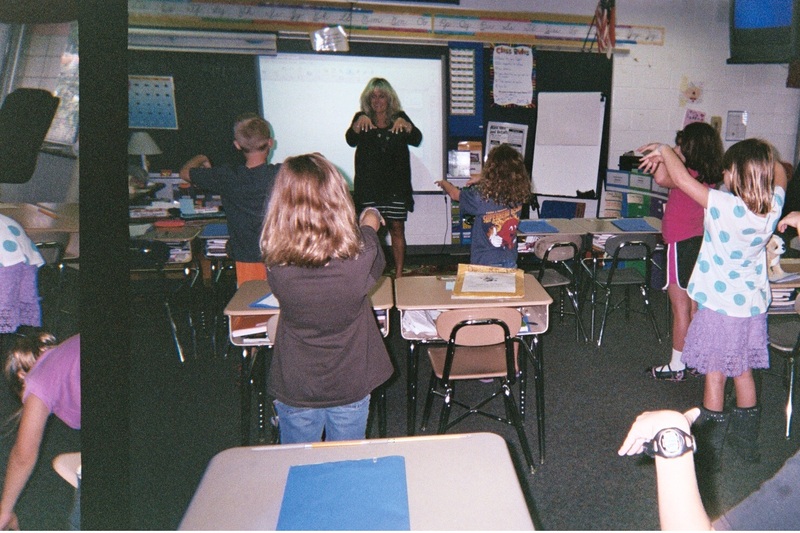 The bulletin board in my blog pic below offers a clever way to reward young children who do a good job paying attention. You can create a similar poster with space for a photo and short “bio” to recognize a student monthly that has been the most focused and on task in class. Who’s tops at paying attention this month in class? GOOD LEARNERS ARE THE APPLE OF A TEACHER’S EYE! My oh my, here are the apples of the teacher’s eye! is designed for young children to help them gain language appreciation with a poem about apples and to encourage healthy eating. 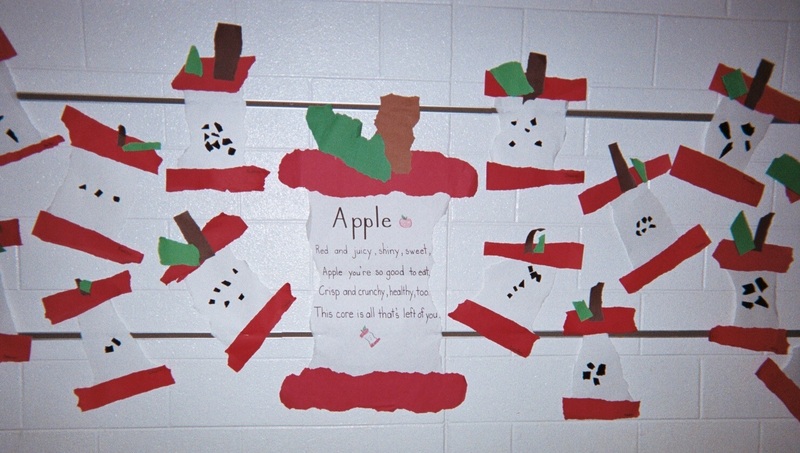 When I recently photographed this display I pictured teachers in early grades posting cutouts of full apples with children’s names (one on each apple) and a header that reads, Good Learners are the Apple of Ms./Mr. _________________’s (your name) Eye! Make a list of what kids brag about, in terms of personal talents and goals; see where paying attention in class falls in line. Yeah, right! Truth is, a lot of kids don’t automatically connect paying attention with getting good grades (if getting good grades even makes your list!) Teachers can help make that connection. Lions proud to pay attention! No question, children are naturally curious and creative, but research shows that teachers face a growing challenge in our “information society;” that is to teach kids HOW to learn. Learning to pay attention is one of the keys to learning! 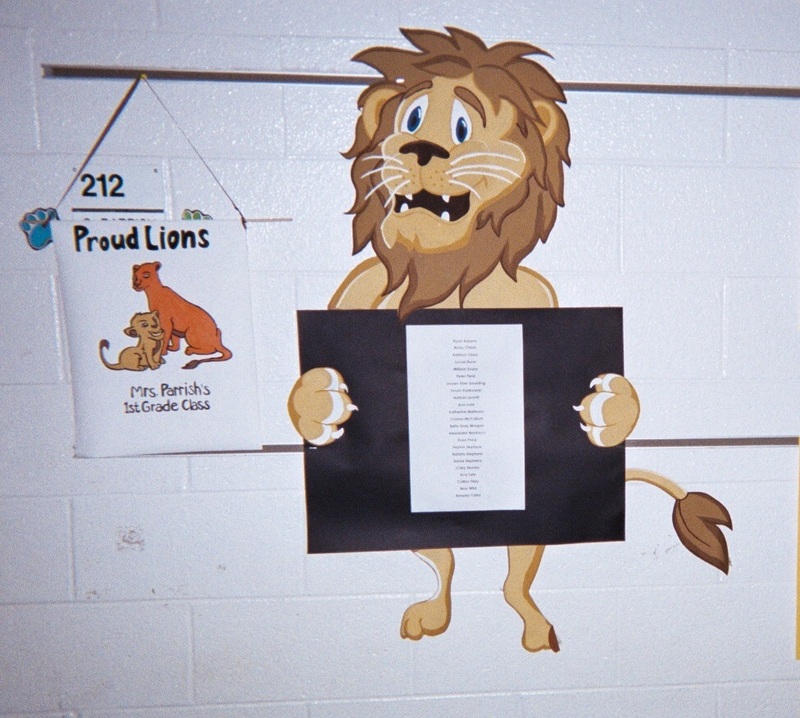 Encourage kids in the early grades to take pride in paying attention with a bulletin board that features a lion, like you see in my blog pic here, holding a list of kids that are proud of the way they stay focused and on task in school. OUTSTANDING OWLS KNOW HOW TO LOOK & LISTEN! 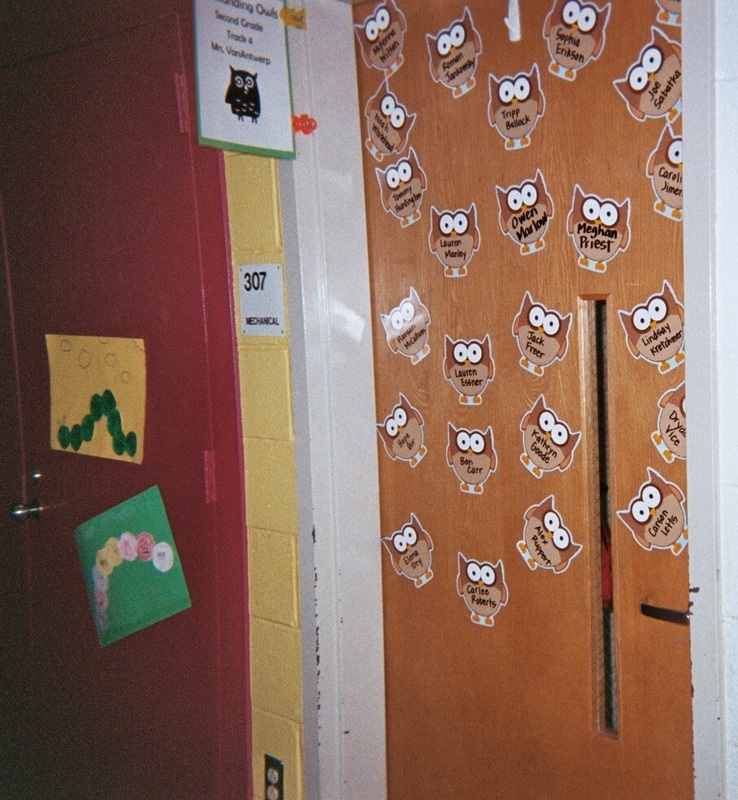 The collection of paper owls posted on a teacher’s door in my blog pic below presents names of class members to welcome children to first grade. You can also use paper owl cutouts like these to represent outstanding learners – kids who know how to look and listen when you ask them to do so. Outstanding Owls know how to look, listen and learn! The attentionology tools, tricks and bulletin board ideas that I’ve offered in this post are adaptable to any part of the world, meaning for example, that you can substitute animals that are more familiar to your students. Or, as another example, if you live in a mountainous region you might choose to use a bulletin board that invites students to climb for treasure instead of diving for gold. Change it up, change it up; one of the best ways to prepare children for success in a world that constantly changes is to model embracing change – but also controlling change – when you can. As master of your classroom, you can “merchandise” education to suit your goals.